Manufacturer of a wide range of products which include welding curtains and safe welding booth. Below mentioned sizes are of frames in which the welding curtains are fitted, therefore actual curtain size will be little less. 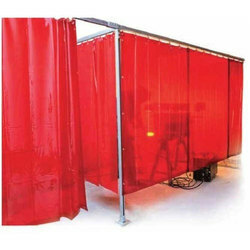 The welding curtains can be supplied with frames or without frames as per customer requirement. Looking for Welding Curtains ?